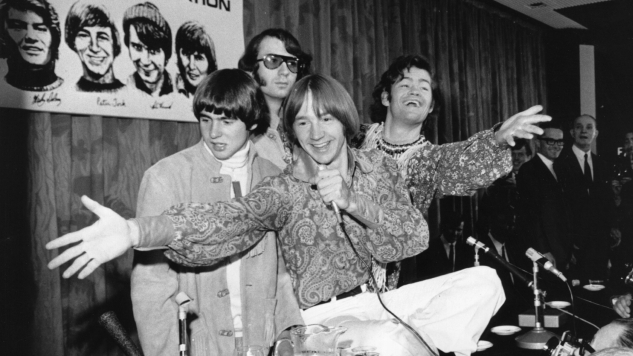 Peter Tork (real name: Peter Thorkelson), founding member and multi-instrumentalist for The Monkees, died at a family home in Connecticut after succumbing to adenoid cystic carcinoma, a rare cancer of the salivary glands, his family confirmed in a statement. He was 77 years old. Tork, joined by Davy Jones, Dolenz and Michael Nesmith, made up The Monkees, the American pop-rock band and acting quartet that rose to fame with their television show of the same moniker. What began as only limited sessions in the recording studio for a fictional television band burgeoned into a fiercely loyal fan base, and such hits as “I’m a Believer” and “Last Train to Clarksville.” Tork left the group and television show in 1968 before teaming back up with Jones and Dolenz in 1986 for a 20th anniversary reunion tour. The Monkees released Good Times! in 2016, their first album in 20 years, and their first since Jones died in 2012. Tork’s family have asked fans to honor the musician’s memory by donating to the scholarship fund at The Institute for The Musical Arts in Massachusetts—find out more here. Watch a 2011 Tork performance from the Paste archives below.